In a recent publication, ”Getting Interconnected – How can interconnectors compete to help lower bills and cut carbon?”, the British think tank Policy Exchange encourages the government of the United Kingdom (UK) to use subsidies to open up new electricity capacity market to power stations outside of UK. The electricity would then supply the British market via subsea high voltage direct current (HVDC) power cables, often referred to as interconnectors. On its website, Policy Exchange is described as “an independent, non-partisan educational charity seeking free market and localist solutions to public policy questions”. Furthermore, Policy Exchange is said to be “an educational charity with the mission to develop and promote new policy ideas, which deliver better public services, a stronger society and a more dynamic economy”. Its research is supposed to be “evidence-based and strictly empirical”. This assumption by Policy Exchange is somewhat inaccurate. It ignores the fact that Iceland’s main source of electricity is hydropower, based on large reservoirs. Although it is true that Iceland’s geothermal- and hydropower resources can be good options for base-load energy, hydropower offers much more valuable characteristics. 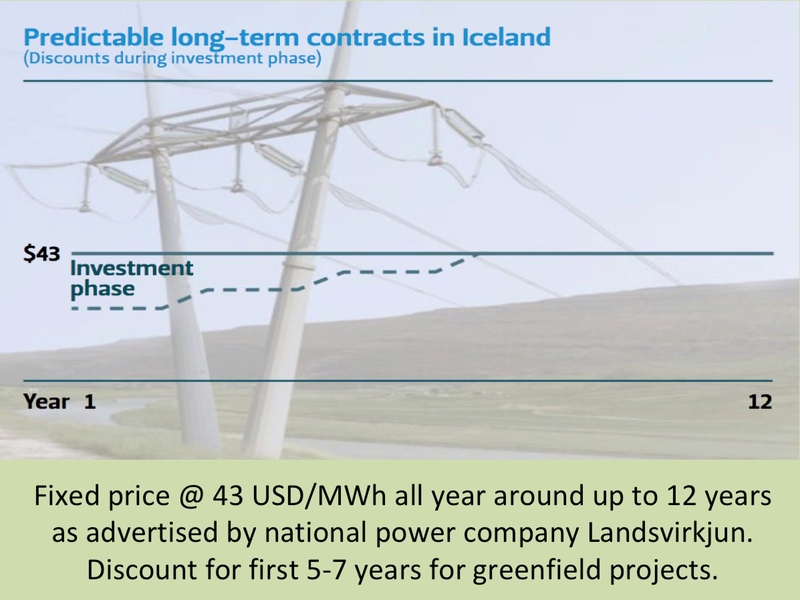 Here we will explain why an interconnector between UK and Iceland would have considerable better economical (and political) foundations if it is utilized as access to highly flexible renewable power source, rather than base-load energy. The best opportunity offered by a HVDC cable connecting Iceland and UK, is to harness the Icelandic hydropower resources (and reservoirs) for high demand peak load power in the UK – and as energy storage during low power demand in the UK. Icelandic reservoirs are like natural energy batteries, where Icelandic electricity firms can “store” the energy to the exact period when it is most needed. This makes it possible to manage the electricity generation very accurately – and thereby increase or decrease the production with a very short notice in line with changes in the electricity demand. Therefore, hydropower with large reservoirs are excellent system stabilizers. This flexibility or steerability of hydropower also offers possibilities for maximizing the profitability of the electricity production. The result is that utilizing the flexibility of Iceland’s hydro power would be a great benefit to both the UK and Iceland. Steerable hydropower is tremendously important and valuable. The reliable and controllable renewable power source of hydropower from reservoirs is by far the best choice to meet increased (or decreased) electricity demand and balancing the system. This positive feature of hydropower is reflected by the well known concept of pumped hydropower storage, where it makes economical sense to spend electricity on pumping water up to reservoirs. In a nutshell, hydropower plants with large reservoirs can serve as energy storage when electricity demand is low, and when the demand rises it only takes a few moments for the hydropower plant to increase production. This is obviously a very positive feature, such as at peak load times (normally occurring during the day rather than night). It also means that the operator of a hydropower plant can maximize the profitability of the plant by utilizing the flexibility of the plant – by running the plant at full capacity when electricity prices are highest. Therefore, hydropower can be substantially more profitable than other electricity sources. Having this feature of hydropower in mind, it is quite surprising to see Policy Exchange suggesting to market Icelandic hydropower as base-load energy source. By doing so, Policy Exchange is ignoring the fact that the Icelandic hydropower could create much more value if the business model would focus on peak demand rather than base-load power supply. And this would not only benefit Iceland, but also the UK. In its report, Policy Exchange recommended that the interconnector between Iceland and UK should be one way export of electricity from Iceland and be directly in competition with other base-load power sources, such as nuclear power. This suggestion ignores how the flexibility of hydropower stations with large reservoirs (like in Iceland) makes hydropower quite unique and very different from nuclear power (only gas powered generators have the possibility to respond as quickly to changing system conditions as hydroelectric generators). In fact, nuclear power plants must be run at close to full output all of the time – and they actually need capacity liked pumped hydro storage for excess power at times of low demand. Therefore, it is quite obvious that the main advantage for the UK, by the construction of an interconnector between UK and Iceland, is the access to peak load renewable power from Iceland, rather than base-load. The interconnector between Iceland and the UK should also be in the role of bringing electricity from the UK to Iceland at periods of low demand in the UK. This would maximize the flexibility and steerability of the Icelandic reservoirs, and at the same time increase the opportunities for the UK to stabilize the British electric system. In this case, the Icelandic reservoirs would act as valuable energy storage for the British electricity market. This is especially important as more and more wind power is harnessed in the UK. More wind power will mean increased fluctuation in the electricity system and call for increased access to reliable flexible power source – like Icelandic hydropower. It will not only be important to export electricity from Iceland to UK. Exporting electricity from UK to Iceland will also benefit both nations. During periods of low power demand in the UK (such as at nighttime), electricity generated by power plants in the UK could be used to fulfill electricity demand in Iceland. At the same time, water flowing from the Icelandic highlands and mountainous areas would be saved in the Icelandic reservoirs. When electricity demand in UK rises in the morning and during the day, the water in the Icelandic reservoirs would be utilized for generating electricity at high capacity to meet the increased demand. The result is that an interconnector between UK and Iceland offers access to valuable and renewable energy storage, ready for peak load demand – at relatively low price. It is even possible that electricity from the UK might be used for pumping water up to the Icelandic reservoirs from downriver during the periods of low electricity demand in the UK – this pumped water would then be available as a increased power source when demand in the UK rises during the day. Although Policy Exchange is somewhat inaccurate when it sees Icelandic electricity as basload power, the think tank is correct in its conclusions, when it states that “interconnectors appear to be an attractive option for the British electricity sector”. Policy Exchange is also correct when saying that “British consumers would benefit from importing overseas-generated power which is cheaper than domestic alternatives”. Electricity generated by hydropower (and geothermal power) in Iceland would be less costly for consumers in UK than electricity from for example new wind parks or new nuclear plants. And it is true that an interconnector between UK and Iceland would be “one way of achieving the oft-sought goal in energy policy of diversification of supply” – as Policy Exchange mentions in its report . And such a project would indeed provide both technical and geographic diversification, as the report says. In its report, Policy Exchange expresses, that the UK wants more electricity from overseas and that there is no good reason to stand in the way of new interconnectors (“we want their electricity; they want our money”) . This argument is e.g. based on the fact that Icelandic renewable electricity would be available to the Brits for less money than the electricity would cost if it was generated at home (in UK). 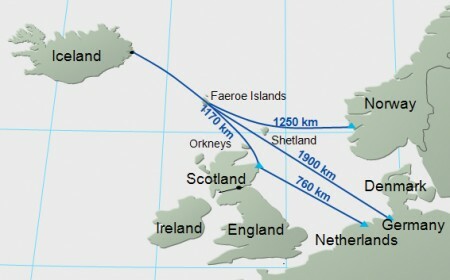 In addition, an Interconnector between UK and Iceland would offer British consumers access to much more reliable energy sources than for example British wind energy can ever be. Economically and politically it is highly unlikely that the project will ever be realized if the business model is a one-way base-load interconnector. To create a win-win situation for both UK and Iceland the electricity must be able to flow in both directions, where the cable would have the purpose to meet peak load demand and also offer the possibility to utilize Iceland’s flexible hydrpower system as energy storage. Finally, it is worth mentioning that according to the latest news from ABB the technology for an interconnector between Iceland and UK is available.